I started this cute little sweater right after I finished Carson's Campside Cardi. While knitting its bigger cousin, I was lamenting the need to knit a second sleeve and was reminiscing of older simpler times when a sweater was knit in pieces and then seamed together. One of the few benefits of knitting a sweater in pieces is that you can knit both sleeves at the same time (of course I didn't take a photo to show you this). Basically, you cast on the first sleeve like normal and then you take a second ball of yarn and cast the next sleeve on the same needle. You then knit row on the first sleeve and then knit the first row on the second sleeve. Using this method you are guarenteed two identical sleeves. The major downside to this method is that you end up with four separate pieces that you have to seam together. The pattern was from Ravelry. It is so well written and I fell head over heels for the adorable mock cable pattern. I even modified the pattern to get more. The pattern, as written, has a section of moss/seed stitch to the centre of the back. After doing a few rows, I decided that I would prefer the cables to extend to the collar band. Much happier. The only other modification I made was to leave an inch on either side of the head hole un-seamed. Because babies heads are always far bigger than you think they could possibly be. 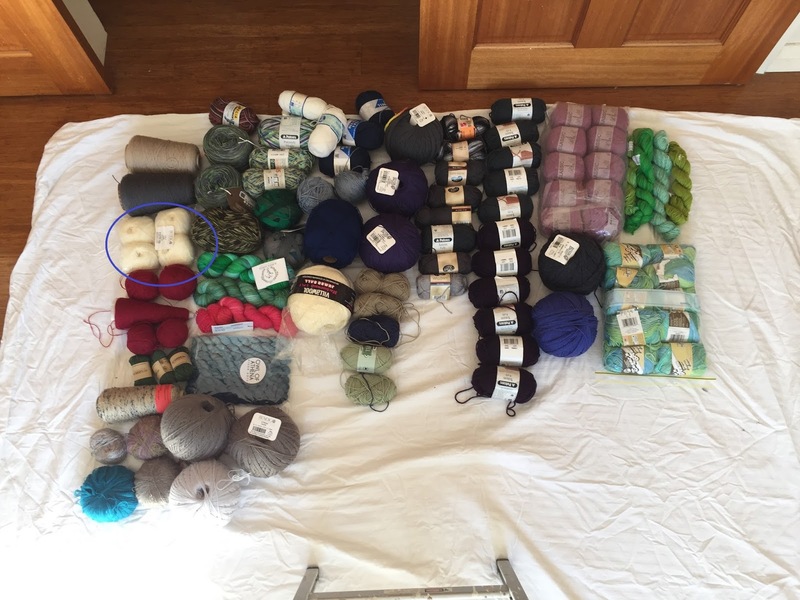 As a further point of happiment, this is a stash down project. Hooray! The yarn was 100 grams of 3ply yarn from Bendigo found in the back room of wonder during my trip last year. Ah it's very sweet! That did look a small hole for the head, are you putting buttons on the open neck seams? I remember my mum making a jumper for me that needed to be sewn up. It was itchy - wool - and the underarm seams were so inelastic it was quite uncomfortable. I felt terrible because I knew the work that had gone into it. I wanted to live it but I couldn't! Is there a knack to making seems stretchy? Thank you. I may sew up one side and leave the other open. I am reluctant to put buttons on until I have spoken with the mum-to-be, some people are very anti buttons on a babies sweater due to the choking hazard. I've been having a think about the sweater from your Mum. Firstly, there is not much she can do but despair at your super sensitive skin and perhaps next time use a cashmere cotton blend. With the seaming I can't think of a technique which results in stretchy seams. However, top down in the round eliminates seams altogether so other than a few sewn in ends under the arm the sleeves continue fluidly from the body and they are generally more flexible than seamed and set in sleeves. I have to say, it is a horrible feeling to receive a handmade gift that you just can't love.